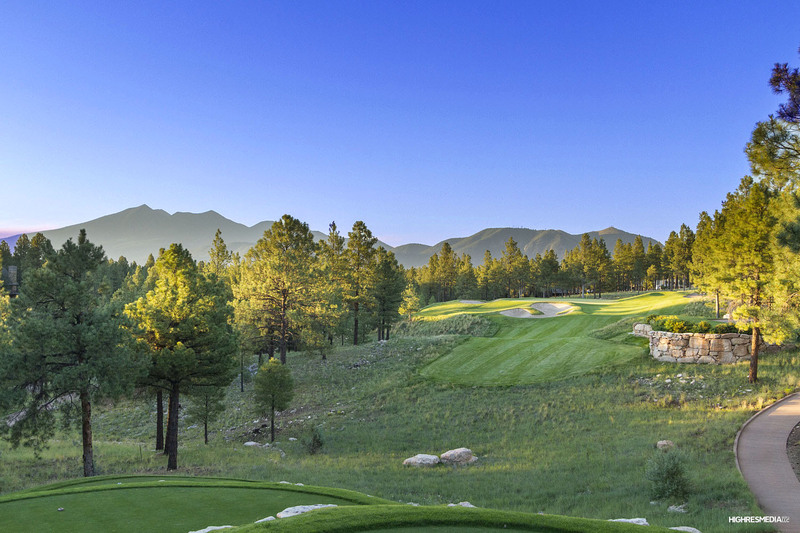 Flagstaff's newest gated golf community, Pine Canyon offers a challenging course designed by Jay Moorish with glorious mountain views, beautifully landscaped common areas, trout filled lakes and an intimate, luxury environment. 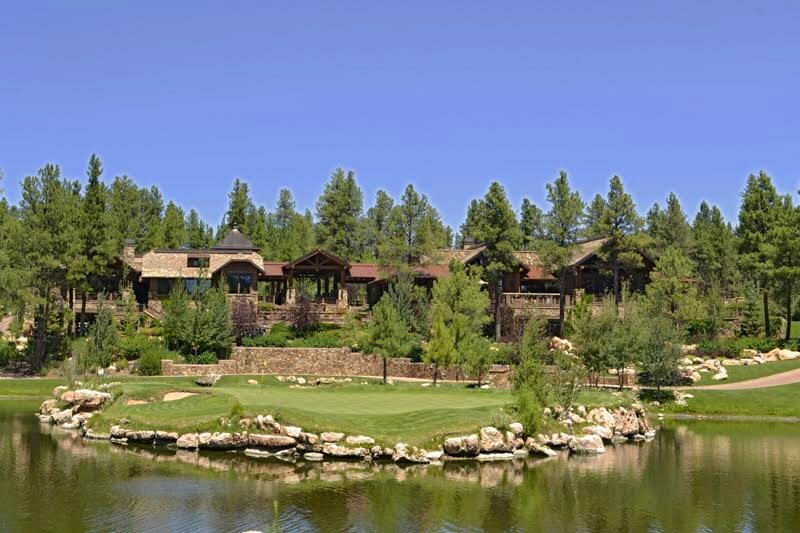 Pine Canyon's Telluride Style 35,000 sf Clubhouse is the height of rustic luxury in Flagstaff. Architecturally stunning, the Clubhouse is not only the central gathering place for Members - with indoor outdoor dining and a separate Mens' Club, - the Clubhouse is equipped with a full gym, yoga rooms, extensive opportunities for spa treatments and personal care, and multiple spaces for relaxation and fun. The Pine Canyon Clubhouse is a private destination resort for Members. Kids can spend the day at the pool with its own separate clubhouse and snack bar. Pine Canyon offers two tennis courts and an on property Tennis Pro, creating a well rounded club experience. Pine Canyon's grounds are among the most beautiful in Northern Arizona. Located only minutes from downtown and surrounded by forest, Pine Canyon is a uniquely private, upscale Flagstaff experience. Summit Membership. Golf Membership, all Pine Canyon Golf Club Amenities including clubhouse, gym, spa, tennis. Alpine Membership. Full access to the Clubhouse and Sports Facilities. Limited Golf. Social Membership: Full access to dining, Pine Canyon Activities and Pay As You Go to the spa. Please click here for Membership Details. All information is subject to change without notice. Please call for updated Membership Information. Do you need more information? Would like to discuss the differences in our Golf Communities, or explore Pine Canyon further? Call or email me. I am more than happy to answer your questions and take you on a personal tour.